The recent visit of French President Emmanuel Macron was seen as an opportunity for Bulgaria to ask once again for accession to the Schengen area. However, this accession is not possible and the reason is not only the political dead-end with several European countries having so far denied entry to Romania and Bulgaria due to widespread corruption and the lack of success in fighting it. At present, Bulgaria does not meet the technical requirements for access to Schengen, and it is not clear when it will be ready, according to documents which Bivol has seen. The information was also confirmed by answers to questions asked under the Access to Public Information Act (APIA) to the Ministry of Foreign Affairs (MFA). What is missing in the reply sent by Minister Ekaterina Zaharieva’s office is the fact that all other European Union (EU) countries, including Romania, are now ready for the new Visa Code Plus system for issuance of Schengen visas and have successfully completed communication tests with it. These tests and readiness are a mandatory prerequisite for the accession. Bulgaria not only does not have a functioning communication but is yet to announce a public procurement procedure for the full integration of the Visa Code Plus into the National Visa System. The criteria and the deadlines for the integration are clearly outlined in documents examined by Bivol. In its reply the MFA falsely states that the dates for integration into Visa Code Plus are yet to be determined. They have been determined a long time ago, with Bulgaria committing before the EU Lisa (the European Agency for the Operational Management of large-scale IT Systems in the Area of Freedom, Security and Justice) with very exact dates for testing and readiness: announcement of a public procurement on December 23, 2015, update of the national system and readiness for local tests on June 30, 2016, launch of tests with the Central European system on March 30, 2016 and product readiness on March 31, 2017. Product readiness means that all tests have been passed successfully and real exchanges of data have been carried out (not to be confused with “real data exchanges”) There is currently no product readiness, the MFA recognizes. This demonstrates how inaction and procrastination in the Ministry have continued under three governments from 2015 until today. “We have another building to paint and we are ready for Schengen,” Prime Minister Boyko Borisov said in February 2011. Since then, all governments have bragged about their Schengen readiness, showing equipped cross border checkpoints and painted buildings, but they keep silent on the fact that Bulgaria cannot and has no way to issue Schengen visas. To be admitted into the Schengen area, our country must have a working communication with three information systems: Visa SIS for wanted persons, Vis Mail 2 or Visa Code Plus for issuing Schengen visas and Eurodac for fingerprint checks of persons seeking asylum in the Member States. In spite of the efforts of the Ministry of Interior to establish such connections, the access to Eurodac by the Bulgarian institutions is still impossible without the presence of staff of the European Migration Agency, which handles with their laptops the fingerprints of the asylum seekers in Bulgaria. They are using special software to check whether migrants have asked for asylum in another country before declaring themselves refugees in Bulgaria. If these employees are to leave, Bulgaria will not be able to comply with the Dublin Agreements. The situation with the visa system, which is under the control of the MFA, is even worse as European officials cannot replace employees of the MFA and in consulates to handle applications for Schengen visas. To make this technically possible, the inquiries from the consulates should pass through the National Visa System, which should then send data to the European system. There is no working communication between the National and the Schengen systems and there will be none anytime soon. The interface of the National Visa System to the European Schengen system has not been built. There are two possibilities for Bulgaria to communicate with the European Visa System. One is through the old Vic Mail 2 system, which exchanges emails with all Member States for each visa request and waits for a response within two days. This archaic system will be suspended in April 2018. After that date, all Member States will be required to use Visa Code Plus, which is a classical information service with a common database. Queries are sent and received in real-time, and biometric information is exchanged. The MFA has no working connection with either of these two systems despite the assurances that it maintains technical readiness. Indeed, Bulgaria has conducted only test communications in 2014 and 2015 with the Vis Mail 1 system, which has already been suspended. Figuratively speaking, as we were coating the Schengen building, Europe has already built Schengen bunkers with strong walls and they want us to start pouring concrete. They have given us money for the bunker and are pushing us to do something, but the government is snoozing. This is probably because they cannot yet distribute the tender money between their “good and loyal people”. Other “good and loyal people” may lose their sweet business alongside the National Visa System created by former cops. 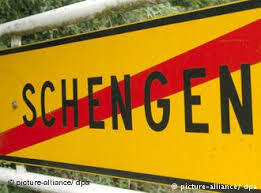 Without a bunker, however, there will be no Schengen. And no high-level visits, loud promises, and pledges of allegiance before European leaders will change that fact.